of the Yatsugatake sky during a guided tour. embedded in the Yatsugatake area. Bring along those who are dear to you. 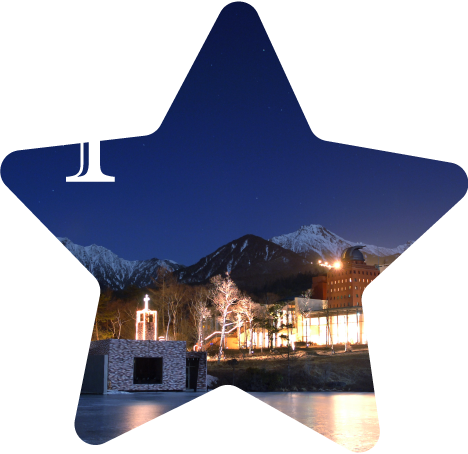 Events are held every Saturday during the whole "Star Round" winter season! On an altitude of 1450m, the hotel has an astronomical telescope and an observation dome. “Utsukushi-no-mori” which is opposite of the hotel used to be called Itsuki-no-mori. Legend has it that in the far, far past 8 million gods used to gather here every year. When looking from the observatory on top of the hotel, you will be be able to see the stars that shone in that distant past. *Prices may change on the day the tickets re sold. After climbing to an altitude of 1900m with the Sky-lift, enjoy the starry sky observation show with a hot drink in the hand. Because Sun Meadows is closed for skiing from late afternoon it will offer a quiet ambiance. 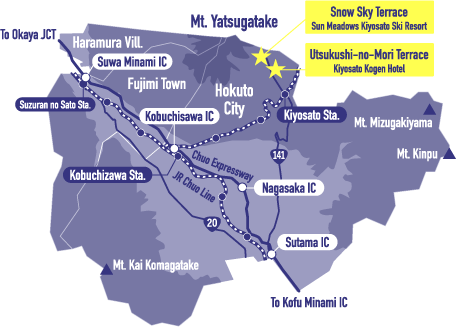 While closer to the stars stud sky, a navigator will guide you along to the stars around Yatsugatake. And, if you are lucky, you might be able to observe shooting stars. 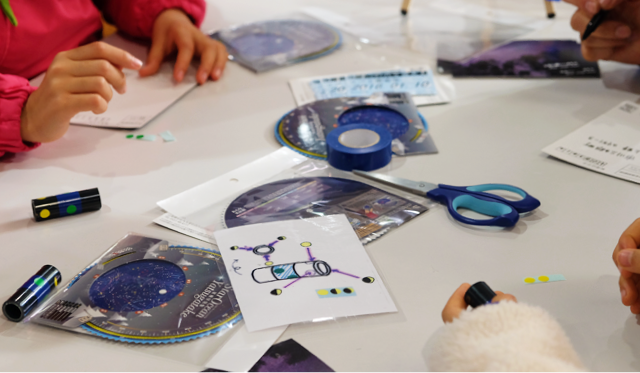 To make your experience even more enjoyable we have prepared some extras such as a star-sky movie, postcards, a photo booth (A Snow-sky limited), and gyroscopes. Stay Over For The Night! The Yatsugatake area is generally known for its popularity during the summer season, but did you know about the charms of wintertime? It hosts many spectacular views which can only be seen during the winter season. 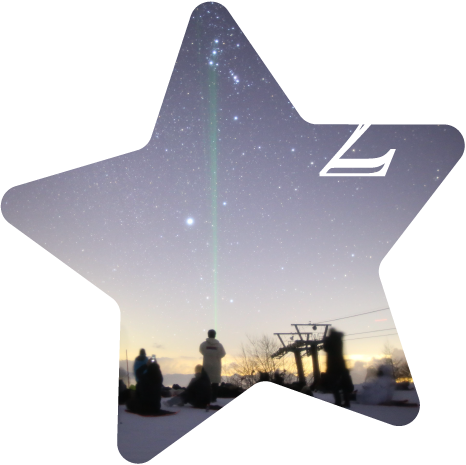 After participating in the Star Round event, get slowly warm again at the inn while looking at the stars from the room. Therefore, take your time and enjoy what Yatsugatake has to offer. Every Saturday from 1 December 2018 till 23 February 2019. *Venue and time vary depending on the date, time and opening date. Utsukushi-no-mori terrace: (Reservations in advance) Adults: ¥1,300 / Children ¥650Snow sky terrace: (Reservations in advance) Adults: ¥1800, Children ¥900*Prices may change on the day the tickets re sold.